Notes: Llandudno Junction opened on 1st October 1858 when it was included in the timetable for the branch (Llandudno) but not for the main Holyhead - Chester line until 30th October (for the November service). Built by the St. George's Harbour and Railway Company in 1858, this branch line heads north through Deganwy before terminating in Llandudno town. 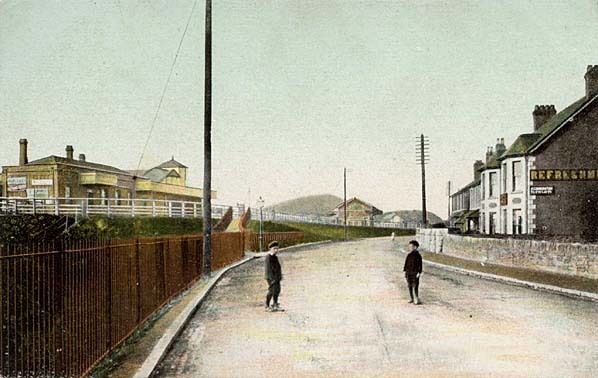 Prior to the completion of the junction station, the branch line trains from Llandudno ran through to Conway. At times the branch was worked by horses owing to financial difficulties (certainly during winter of 1862) but was permanently loco-hauled by October 1863. This was followed by the opening of a second branch line in 1863 - the Conway Valley Line - which headed south and was built by the Conway and Llanrwst Railway, and became part of the LNWR in 1867. It follows the valley of the River Conway to Llanrwst (where it originally terminated) and Betws-y-Coed (later the terminus), then follows the Lledr Valley and a two mile long tunnel to terminate at Blaenau Ffestiniog. 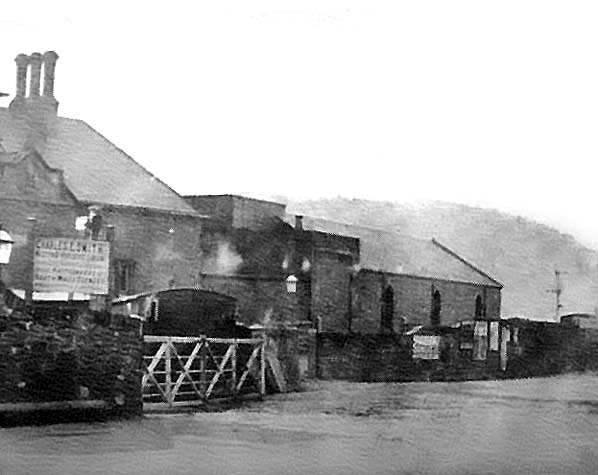 Initially the Conway Valley line ran into a separate platform at Llandudno Junction on the south side of the station and a refreshment room was built there in 1864. 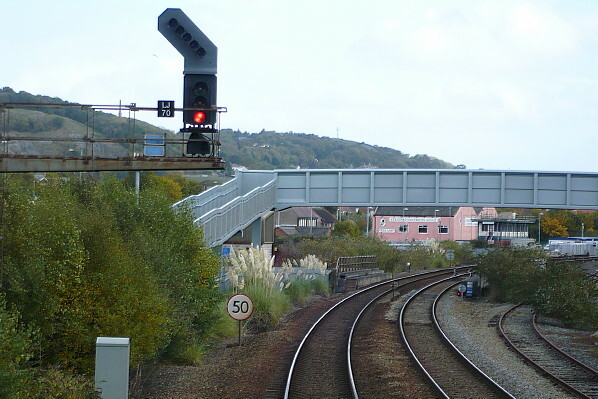 However, the station needed to enlarge in order to ease the curve at the junction and to better cope with both mainline and branch-line traffic. The original station was closed on 1st October 1897 when the new Junction station opened on the deviation to the east of the junction. This was a much larger station with six through lines with two bays at each end. 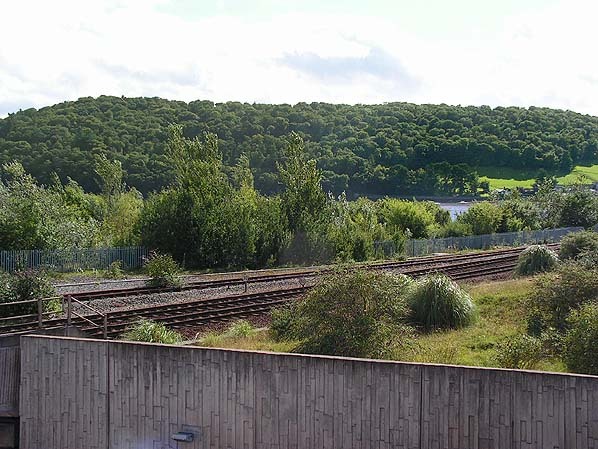 The opening of the new station allowed for the demolition of the former station, but also entailed a diverting of the Conway Valley branch, which now joined the mainline some half a mile further east. The old formation was used to store locomotives. In 1984 the branch was again moved slightly eastwards to allow for a new freight terminal which opened on 1.7.1903. Llandudno Junction first station looking west shortly before the opening of the new station. 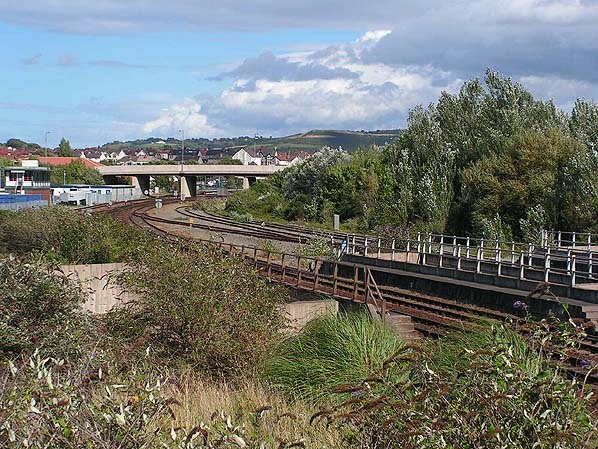 The holyhead line is on the left with the Llandudno branch on the right. 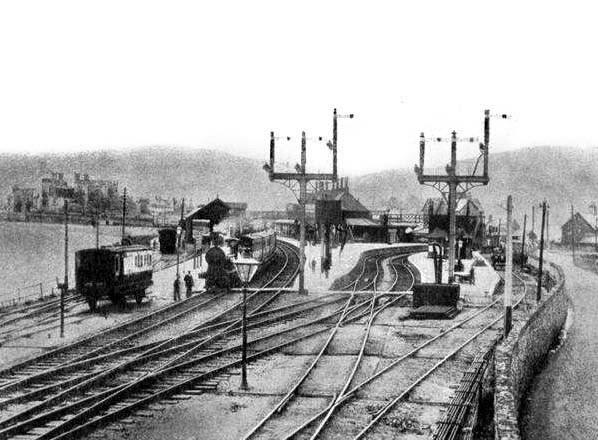 Llandudno Junction first station around 1895 with the first, two road engine shed seen from the rear. Actually built by the St .George's Harbour Company, an adjunct of the C&HR, and leased to the LNWR in 1862 to be absorbed 11 years later. The shed closed in 1880 after which it was used as a carriage shed until final closure of the station and demolition. The site of Llandudno Junction (1st) Station looking east from the Holyhead line in October 2012.